FIRST PLACE FLOWERS, PLANTS & GARDENS 2 Art Competition.net, January 2016. Commissioned painting for a Private Collection. 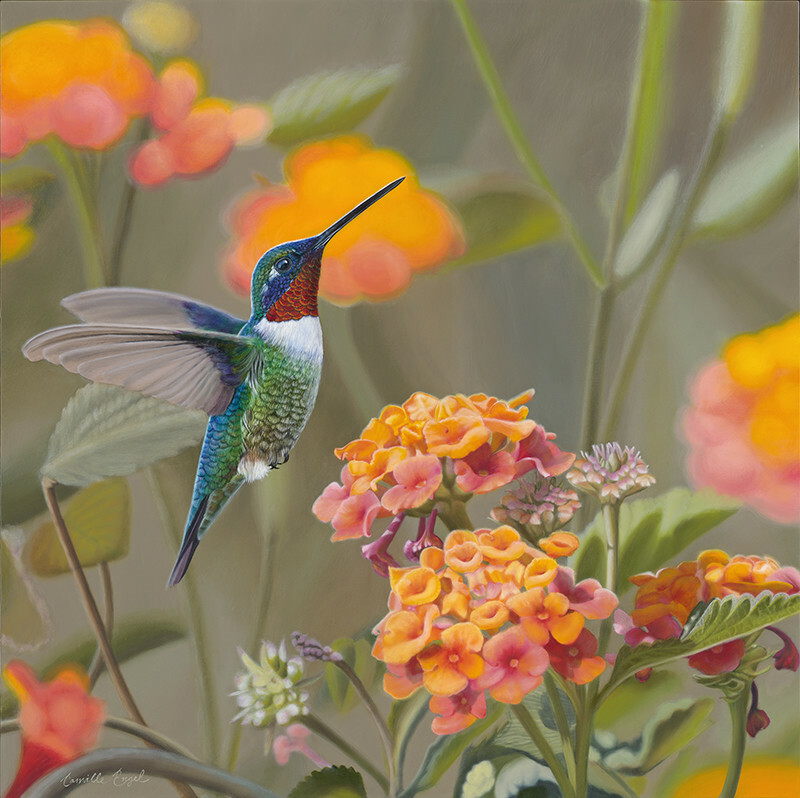 Male Ruby-Throat Hummingbird flying amongst coral color Lantana in a garden.